We all know that water is essential to sustain life. Children and adults can't live without it; neither can any other living beings. However, when it comes to babies under the age of six months, the rules related to water are different. In this article, we'll tell you why water is maybe not so good (and unnecessary) for your baby under six months of age. Whether your baby is exclusively breastfed or formula-fed, until he is six months old and ready for solids, he does not need extra water. Pediatrician Dr. Alan Greene as saying "the amount of water present in breast milk and formula is adequate for a baby’s health, taking into account water lost through urine, stool, and lungs." 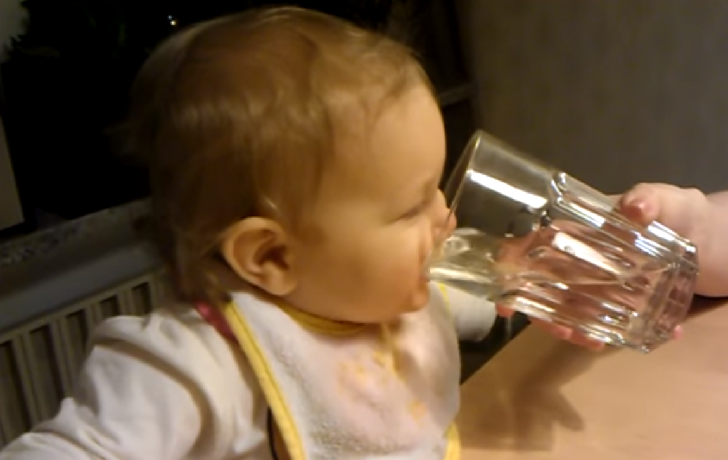 Water has no calories but fills your baby nevertheless. This will make him less interested in drinking milk. It could also result in weight loss and increased bilirubin levels. Your baby could get water intoxication (we discuss this on the second page of this article), which is a potentially serious condition. Your baby's kidneys are still not capable of handling too much fluid and giving your little one water causes their kidneys to flush out electrolytes and sodium, leading to dehydration and an electrolyte imbalance.